SFD: Hello Skip! Thank you very much for spending some time with us. It is a great pleasure to be speaking with Ryu! SKIP: Thanks for having me. I am honored. SFD: So, we must first start by asking, how does it feel knowing that you are the key recognized voice of one of the world's most famous video game characters? You know you've set the bar on peoples' conformity of what Ryu sounds like for an anime! SKIP: I am very flattered that you would say that. Thank you. 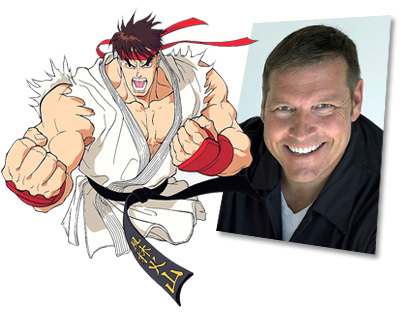 Ryu was one of the first major voices I voiced and if people feel I have "set the bar", well, that is just way cool. SFD: I would say so. It seems every new anime and game being put out has a voice actor trying to sound like your Ryu! Did you have to audition for the role or were you recommended the part? SKIP: It has been a very long time but I am pretty sure I had to audition for it. It was either that or they heard me in something else and called and...you know, now that I think about it I had to audition for it. I seem to remember going in and reading for several of the characters. 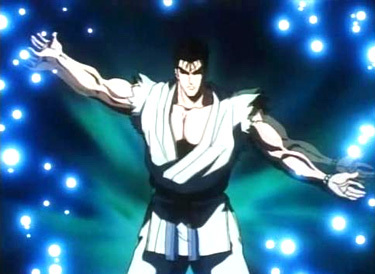 SFD: Before Street Fighter II The Animated Movie, there has never been an actual "voice" for an Anime Ryu. Nor have we heard him talk in the game other than his usual Hadouken's and Shoryukens. What was your inspiration for a character who has never really spoken? SKIP: A lot of time's when you audition for a character they have a small breakdown of the character with a picture of what they look like. I saw Ryu as kind of a strong silent type, gentle giant if you will, and that's the voice that came out. SKIP: Yea, I think they were happy with what I was doing and it was pretty much, "don't fix what's not broken." I was pretty happy to do Ryu whenever they called me. It was a very enjoyable character to play. I was also recording it at a studio that I loved to work at, Mag8, with people I really enjoyed working with. Street Fighter II V The Animated Series. SFD: We noticed that you have been credited differently on your various works; Hank Smith, Henry Douglas Grey, Hank Malloy, etc... can you tell us more about these names? SKIP: As a joke I used the name Hank Wilspank a couple of times early on and I did a job where the producers did not want to use the name "Wilspank" so they changed it to "Smith". I have no idea where "Malloy" came from and Henry Douglas Grey is my first name, and my 2 best friends first and last name. "Henry" is my birth name. now that I am doing more and more I only use Skip Stellrecht. SFD: Do you have any hopes or plans on returning as Ryu in a possible future Street Fighter Anime? SKIP: I really don't think about it much but I would love to! SFD: So lets get to know the man behind Ryu's voice. What are you currently working on? SKIP: Right now I am working on two anime series. I play "Gai" in the series Naruto and "Gaumon" in the newest installment of Digimon. Having a blast with both. 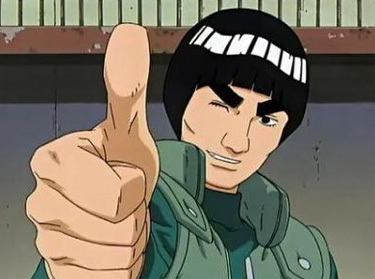 Gai from the Anime Series "Naruto". SFD: What are some of your hobbies and interests? SKIP: Anything fun. I love playing poker and play it a lot. I like camping and dirt biking in the desert and I love to sing and play my Ukulele. SFD: Any final words for the fans? 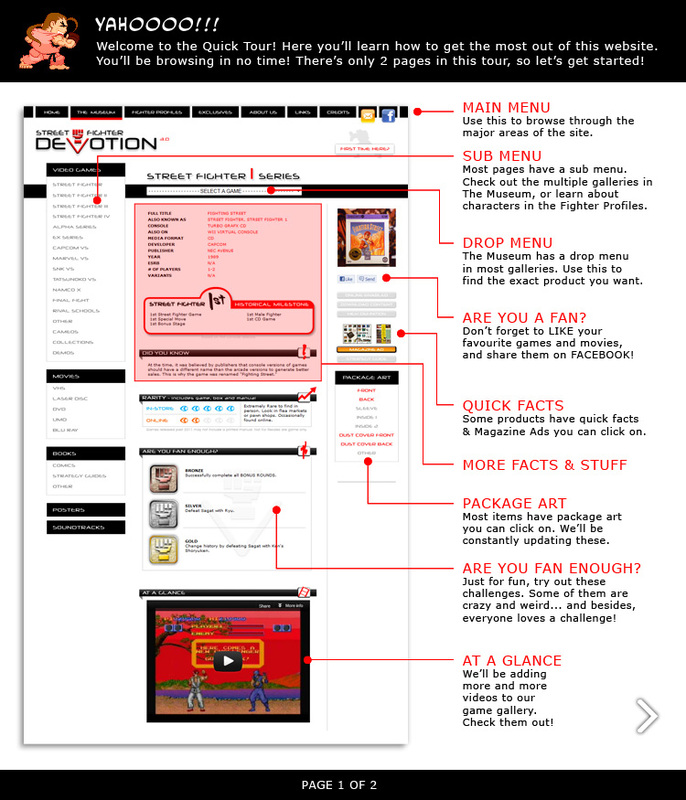 SKIP: Thanks for keeping Street Fighter alive! So cool. I have a lot of great fans and I really enjoy being in touch with them. Thanks for asking me to do this SFD. I really enjoyed it. As far as advice goes, some of the best advice I ever got was from a couple of acting teachers I worked with. Whatever you do, wherever you go, be honest and live everyday in the moment. It's how I try to live and so far it's working out pretty good. SFD: Awesome! 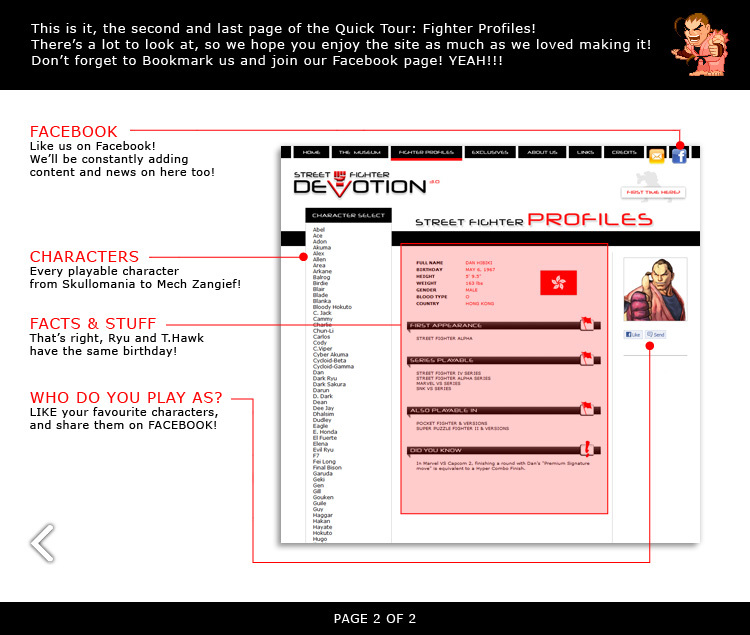 Once again, thank you very much for having this exclusive Q&A with us. On behalf of Team SFD, good luck on your current and future careers. Keep in touch! SKIP: Again, the pleasure is all mine. Thanks for having me.